Are you brave enough to fight the sea monsters and dangerous storms of a world long forgotten? It’s a challenge not many of us can face. If you dare to take on the adventure, you’ll enter a world of crashing waves and terrifying monsters. Launched in 2014, the 1429 Uncharted Seas slot game takes you back 600 years when pirates and dragons roamed the Earth. Even the grounds of Japan were yet to be discovered by Christopher Columbus. Brave men returned home to their families in Europe and told the tales of their journeys. They shared stories about their battles against the mythical beasts and tempting mermaids. However, some sailors who were drawn-in by the overwhelming songs of beautiful mermaids never made it home. Sailors risked their lives following trails on maps in their search for hidden treasures. They drew symbols by hand to record the monsters they’ve encountered on their paths towards unimaginable riches. The 1429 Uncharted Seas slot game appears as one of these maps. An old and stylish parchment shows up on your screen when you start the game. You’ll be captivated by the originality of the symbols’ designs which are outlined as raw sketches to create the atmosphere of the past. Thunderkick has done a great job at bringing out the 600 years old setting by using simple, hand-drawn symbols of sea monsters such as gigantic turtles, dragons, krakens and giant squid as well as the beautiful mermaids, ships, and sailors. The cut-scene of the slot game shows the adventures of explorers battling storms and underwater dangers. The soundtrack of the game plays an important role in creating the right scenery and highlights important moments. How Does This Online Slot Machine Work? The 1429 Uncharted Seas slot machine features 5 reels, 3 rows, and 25 paylines. The mermaid symbol has the highest value and offers a multiple of 50 of your stake when you reach 5 symbols in a row. The turtle monster and giant squid pay out a multiple of 10 of your bet. Your bet will multiply 6 times if you land lobsters and fish monsters. You’ll have a great time playing the sailor’s role in this game. So, put on your hat, grab your compass and set out to battle the pirates and sea lurking creatures. The Wild symbol in this game is the ship which appears on the second, third or fourth reels and replace any other scatter symbols. When a Wild hits your screen, it stretches across vertically and offers you a better chance of a win. The wind symbol activates the Bonus Game during which you can win Free Spins. When you reach 3, 4 or 5 symbols in a row you’ll activate either 10, 20 or 50 Free Spins. 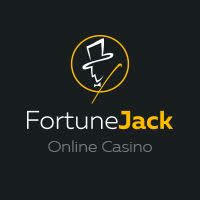 What Is Special About This Online Slot Machine? 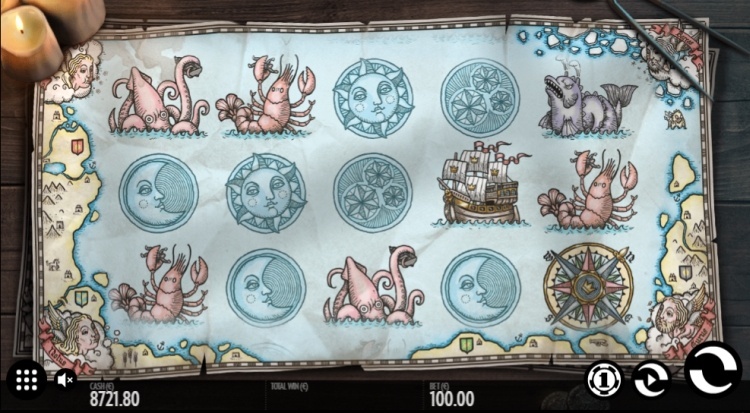 The 1429 Uncharted Seas slot machine has a magnificent interface and uses simple, sketch-like symbols to create a world of the distant past. The pastel color range gives the game a sophisticated edge. The reels are outlined with different islands and old décor. Players are greeted by a welcoming video which marks the beginning of the wild adventure out at sea. The images move in a wavy fashion to create the illusion of sea motion. Your objective is to find the treasures hidden in the dark seas. How Many Paylines Does This Slot Machine Have? The 1429 Uncharted Seas slot game features 25 paylines to offer players higher chances of winning. Are There Free Spins and Bonuses to Be Won By Playing? Gamers will enjoy an adventure of discovering valuable Free Spins and other bonuses. The scatter symbol represented by the Compass grants players with 10, 20 or 50 Free Spins. If you land 3 Compass symbols you’ll win 10 Free Spins. 4 Compass symbols will grant you 20 Free Spins. To reach the maximum of 50 Free Spins you should land 5 Compass symbols. The screen darkens when 2 scatter symbols appear. It’s a great dramatic effect. The wild symbol is the ship which can help you unlock various games and even reach a Free Spins Bonus. It replaces other scatter symbols and covers the screen vertically. Does This Slot Also Have A Jackpot? The 1429 Uncharted Seas game includes a Jackpot, however, it’s not progressive. The maximum value of the Jackpot is 67,000 coins. What Is the RTP Percentage of This Slot Machine? The Return to Player (RTP) percentage of the 1429 Uncharted Seas slot machine is incredibly attractive. It stands at a level of 98.50% and contributes to the low volatility of the game. The two factors combined result in a highly rewarding slot machine, although the number of prizes is low. What Is the Minimum Bet Required, And What Is the Maximum Bet Per Turn? Players can wager starting from a low £ 0.1 up to a maximum value of £100. 1429 Uncharted Seas is incredibly flexible and generous with its players, offering the best wins even with the smallest wagers. 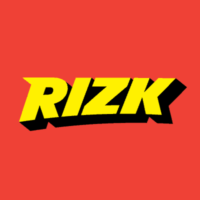 Who Is the Developer of This Online Slot Machine? The 1429 Uncharted Seas slot game was developed by Thunderkick. Thunderkick is a highly reputable gaming development company with offices in Stockholm and Malta. The developer is MGA B2B licensed under no. MGS/B2B/248/2013. Can You Also Play This Online Slot Machine on A Mobile or Tablet Device? Gamers around the world can enjoy an adventurous trip through history by playing 1429 Uncharted Seas wherever they are. If you’re waiting in line at your favorite coffee shop or just spending some time in the park on your own, you can enjoy the thrill of a battle on your mobile or tablet device. Just make sure you’re online and connect to the 1429 Uncharted Seas slot machine. It will open a world of pirates, sailors and monsters to fight against. What Are the Advantages, And What Are the Disadvantages of This Slot Machine? The advantages of playing 1429 Uncharted Seas slot machine lie in the quality of the game’s performance as well as its flexibility. Players can wager low amounts of money and still win big. You can enjoy the game anywhere you are. Simply connect your mobile device to the internet and you’re on your way towards an incredible journey. The only disadvantage of the game is the low-value Jackpot. 1429 Uncharted Seas is an amazing online slot machine which offers an enticing storyline to attract gamers into the world of pirates. Although the symbols are not sophisticated in style or design, they do a wonderful job at creating the feel of the past times. The incredible dynamics of the game and staggering bonuses make 1429 Uncharted Seas an irresistible slot machine.